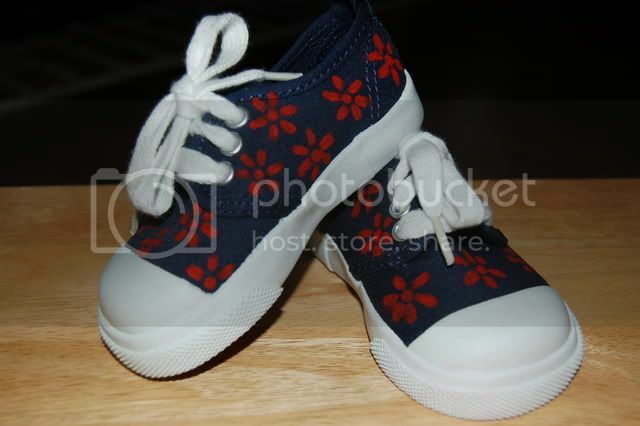 I just made these little shoes for Maressa to wear on Friday with a new set of bloomers (still yet to make the bloomers) and tee to our church picnic. I had forgotten all about making these cutsie shoes til I was cleaning out my sewing room a couple of months ago. All I had left in the blank shoes in M's size was navy. They were purchased with the intention of making boy's baseball shoes. 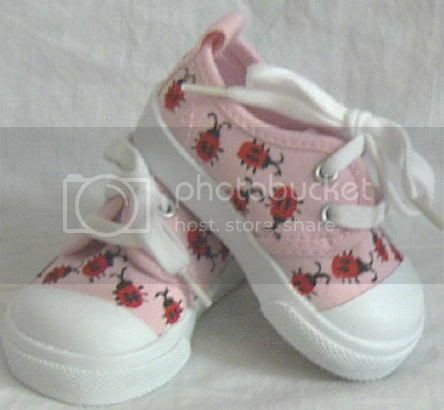 But Micah has long since outgrown the size 4 toddler shoes. So thought they'd be cute with red flowers for the 4th. 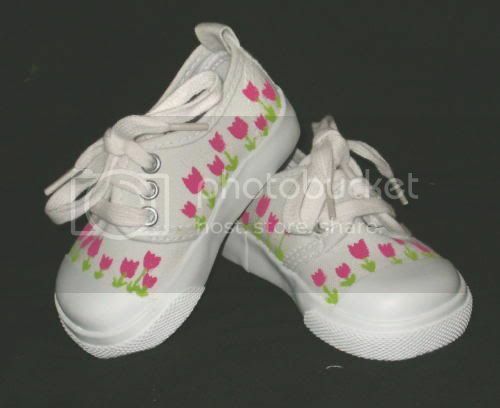 Here are some of my past shoes I made for Kalla when she was this age. I'm enjoying letting M wear them now. 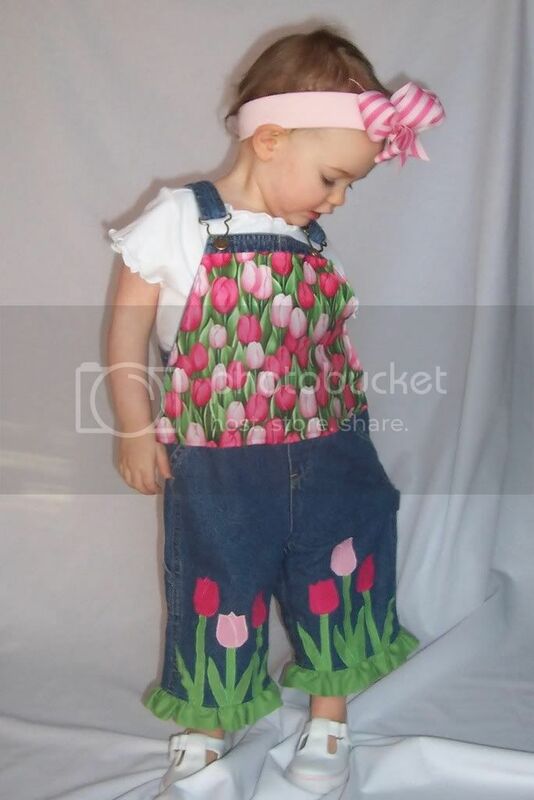 These tulip shoes she just outgrew...they were originally made to match these overalls...a successful design for me on eBay and the only one that I know of that was ripped off....lol..a friend of my was on a message board with a mommy who showed off how she copied my design for her daughter...NOT a big deal. 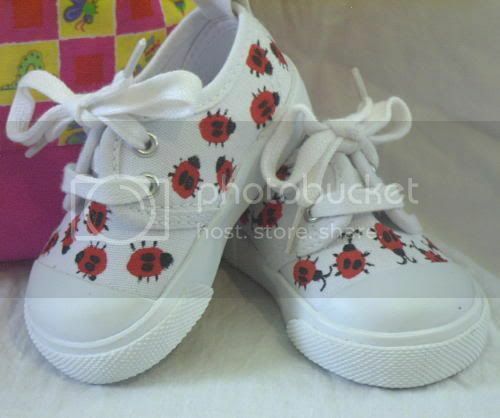 Here are some ladybugs which were the first set of shoes I made. 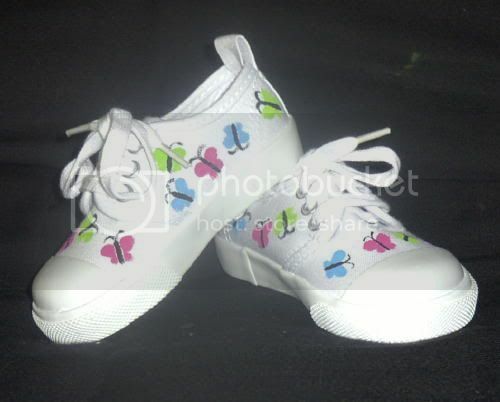 And butterflies....and more ladybugs....with a matching toddler purse (I think this was a gift)...and I had forgotten the antennas on the top shoe...later fixed. 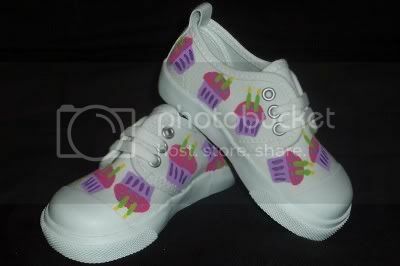 And I forgot who commissioned me to make these cupcake birthday shoes...apparently for a 2 year old. I never would have thought to decorate shoes like that! But they look adorable! Great work! how did you do the ladybugs?